A verdict was recently reached in Los Angeles County in the case of Cardona v. Cortes. The three plaintiffs, Jose, Irene and Eduardo Cardona, were awarded $20 million for damages they collectively sustained after their vehicle was struck by a drunk driver. The trial lasted a total of 13 days, and the jury deliberated for two more before reaching a consensus on June 15, 2015. The lawsuit was filed on behalf of the plaintiffs in Los Angeles Superior Court on Friday, November 30, 2012, as an action resulting from a traffic collision that occurred in February 2011, with the defendant, Navarro Cortes. The Honorable John J. Kralik presided over the case. Before the case went to trial, the plaintiffs had asked for $5 million, but the defendant’s insurance company refused to offer them even the policy limit of $30,000 before the demand expired. This was accepted as a bad faith action against the insurance company, which opened the limit, and the plaintiffs set a new demand of $33.5 million for Jose Cardona and $16 million for Irene. On February 6, 2011, Jose Cardona, a 59-year-old welder, was driving with his wife Irene, a 53-year-old homemaker, and their 22-year-old son Eduardo. Cardona had just executed a left-hand turn on 47th Street from Ft. Tejon Road in Palmdale and was travelling southbound at a speed of 15 to 20 mph. Navarro Cortes was driving northbound on Ft. Tejon Road at approximately 50 mph when he lost control of his SUV and crossed into the opposite lane where it collided head-on with Jose Cardona’s sedan. The Cardonas contend that Cortes was negligent because he was driving under the influence of alcohol. The defendant admitted that he was liable, but he contested the extent of the injuries the plaintiffs suffered and the amount of damages. As a result of the collision, Jose Cardona sustained several injuries, including multiple fractures to both legs. Both of his knees and his right ankle were also fractured. He went into surgery that evening where he had his talus bone removed and his fibula repaired. Several days later, he went into surgery again to repair a torn meniscus, another severe fracture in his right tibia and both patellas. Because of these injuries, Jose can only walk very short distances with the assistance of a walker before experiencing intense pain and fatigue, and he must use a wheelchair to travel longer distances. He has also been unable to work his job as a welder. In addition to the injuries he sustained in his legs, Jose also suffered a torn rotary cuff in his right shoulder, and damage to his brain was identified several years after the accident. This brain injury causes Jose to suffer from headaches, dizziness, depression and anxiety, and he has problems with memory, concentration and mood management. He also suffered a motor-speech disorder known as dysarthria, which causes him to slur his words and experience facial numbness and difficulty swallowing. Irene Cardona suffered a complex fracture of her right wrist from the crash, and she was taken into surgery the following day. The doctors fused the broken bones in her wrist, but she continues to experience severe pain in the area. In October 2014, Ms. Cardona had the plates and other hardware removed from her wrist, and she was diagnosed with complex regional pain syndrome. At the time of the trial, the pain had extended from her wrist to her arm and shoulder, and it has been so intense that she has lost consciousness. In addition to her injured wrist, Irene sustained multiple abrasions and a traumatic brain injury that causes her to suffer from frequent headaches and blurred vision. Eduardo was also injured in the collision. His abdominal wall was ruptured, which caused internal bleeding and anemia, and he had lacerations on his chest. He was immediately taken to surgery to repair the complex hernia, but afterward, he experienced an intestinal blockage that required a second surgery. He was in the hospital for a total of six days and continues to experience pain in his abdomen. After deliberating, the jury found Cortes 100 percent liable for all damages sustained by the Cardona family. Jose was awarded $4.6 million in economic damages and $9.5 million in non-economic damages, Irene was awarded $1.8 million in economic damages and $4.5 million in non-economic damages and Eduardo was awarded $600,000 for pain and suffering. 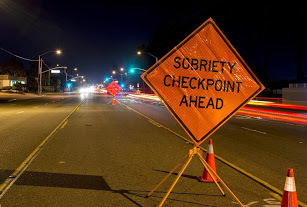 DUI accidents are a serious matter, but the laws surrounding such cases can be very complex. The legal standard, however, is very clear to experienced attorneys, such as those at Steven M. Sweat, Personal Injury Lawyers, APC. Visit the firm’s website for further information on DUI accident claims involving injury or death in California.